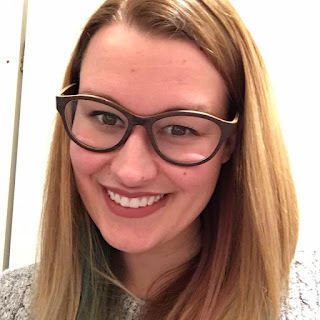 Justine's Cardmaking: Heffy Doodle New Release Blog Hop! Heffy Doodle New Release Blog Hop! 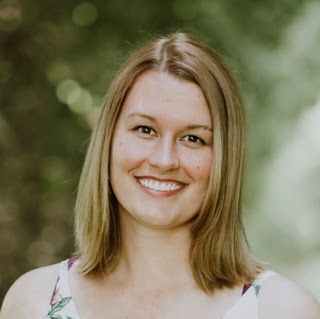 welcome to the Heffy Doodle New Release Blog Hop! Today I'm featuring the stamp set Lucky Friends and doing a sentiment background technique. This is a St. Patrick's Day themed card but of course you can mix and match the sentiments to suit any occasion. Heffy Doodle is a relatively new company and if you haven't heard of them before, be sure to check out the store! This is a pretty simple card to make and you can use any colouring medium you like, such as coloured pencils, watercolours or paints! I chose Copic Markers and I coloured the little leprechaun in standard green and yellow colours. I grabbed three sentiments that suited my card and repeat stamped them down the background in black ink. 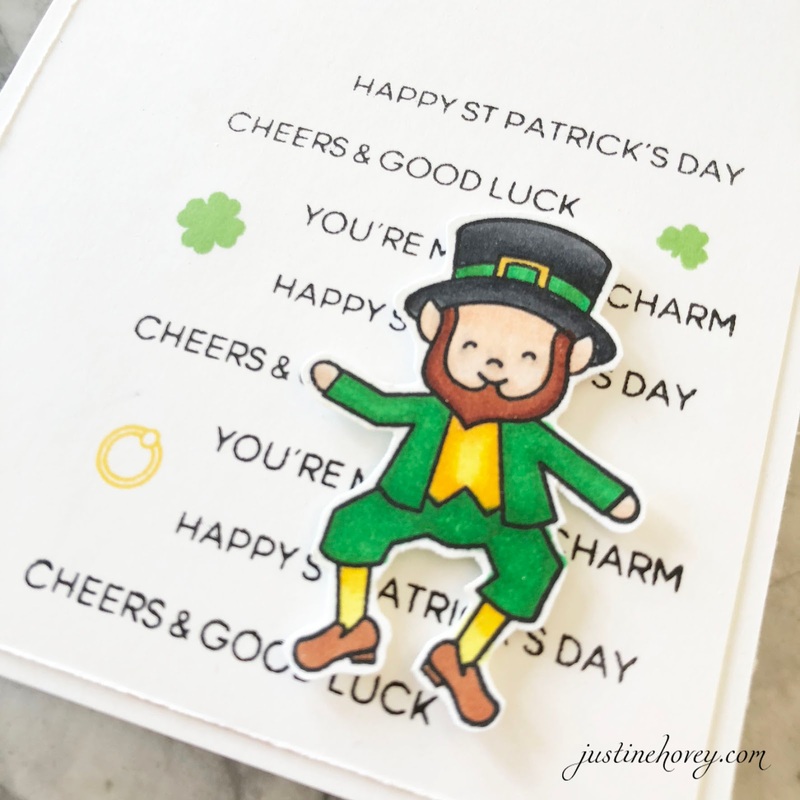 I originally did it in green and yellow inks but they got a bit lost in the background so I incorporated the shamrocks and rings in the yellow and green to tie in the leprechaun to the card. Great, cute, multi purpose card. Thanks for the idea of the background, why I've never thought of that idea I will never know. 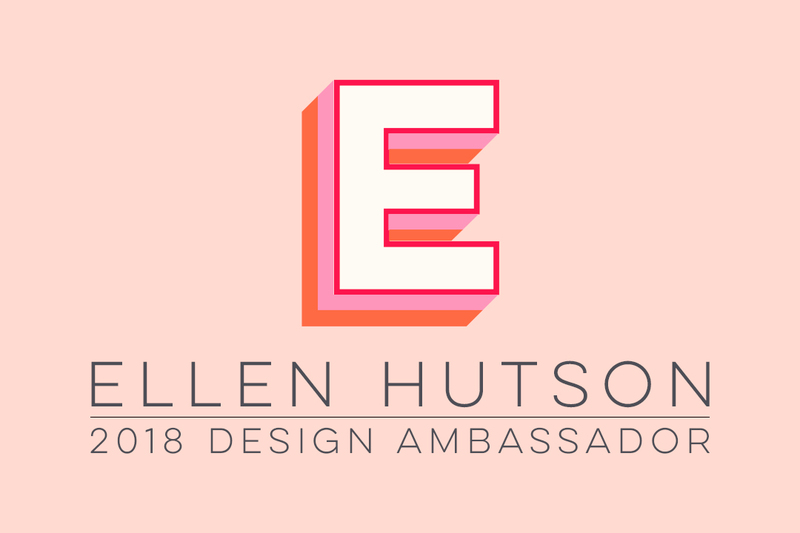 Love your fun, clean + crisp design! You can almost see this wee fellow dancing and I love your fun sentimental background! Very cute ST Pat's Day card! Adorable! He looks like he's dancing! Absolutely love the text background!! Such a great card! So cute! Such a cute card! 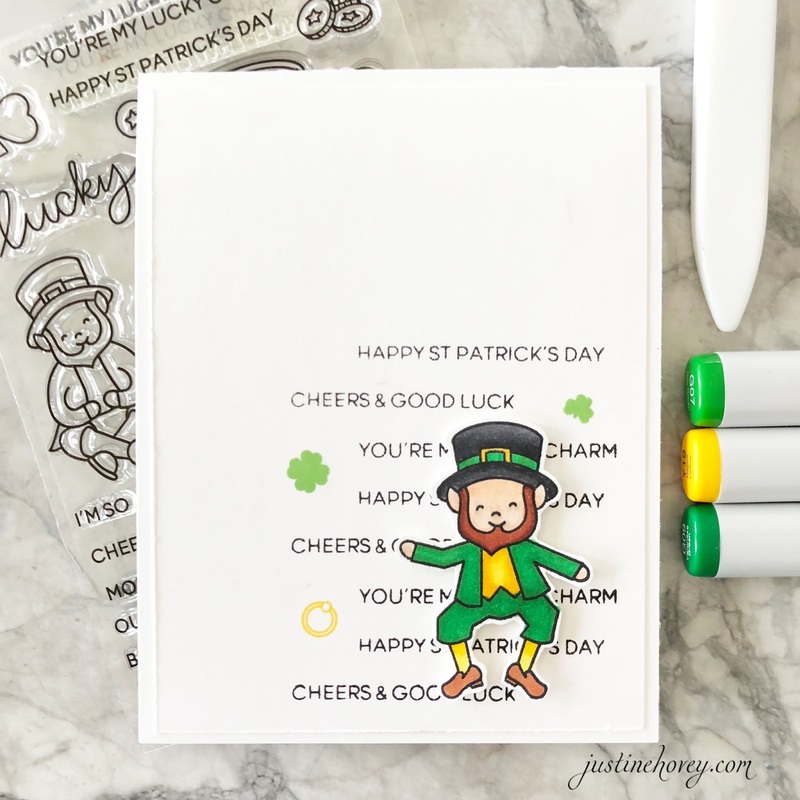 Love the leprechaun and the background you created with the sentiments! Very nice CAS card. Thanks for sharing your coloring and tips in a video. Oooooh, I love how you used the sentiments for the background - very clever! Cute card! Thank you for the video showing how you did the sentiments. Great card design! Fun idea to use the sentiments as this little guys background! Great card, loving your idea for the background! St. Pat is colored so nicely. Adorable leprechaun I really like how you added the background using sentiments and kept this clean and simple. Cute. I like the word background. Great idea to use the sentiments to create your background. Awesome card! Lovely card, Justine. Great use of all the available sentiments! 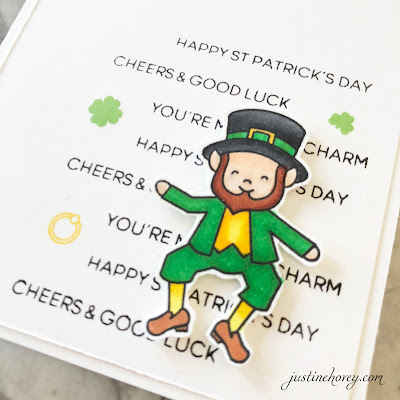 Super cute card- love the leprechaun. Great job! I love that you added the Shamrocks and Rings to the background. That leprechaun is so happy, too! Love it. I love the idea of the sentiments behind the focal board mage! Neat idea! Oh, what fun you must have had! Lucky us to see your card! Love the background idea. Super cute card. Hooty Hoo! At last, St Patty's gets some love! Loving this new release and this little fella - He's adorable and so whimsical. love that you chose to use the sentiments in the background and have the leprechaun frolicking amongst them. Great card! Such a cute leprechaun! I like your layout for this card and especially the sentiments stamped as a background!